In 2010 the Conemaugh Township Area Elementary School received a great honor! We were named as one of the top preforming elementary schools in the nation and given the prestigious Blue Ribbon award for excellence. 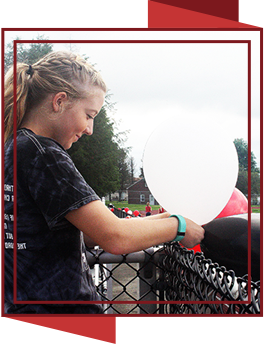 In January of 2012, the student body of Conemaugh Township prepared a great tribute. Years ago, Alfred Domineck, a WWII army veteran, left high school to prepare for war. While serving his country overseas, Freddie was seriously injured and returned from the war, a local hero but not a national one. However, our student body was determined to honor this man for his courage and sacrifice. Organizing a special tribute, complete with appearances by Congressman Mark Critz, the students of Conemaugh expressed their appreciation and presented Alfred with the graduation ceremony and honorary diploma he never received. Their efforts were recognized and applauded across the country by the Associated Press. Students, we’re proud of you! We are honored by the recognition and awards received from our community and nation, and we owe it all to our outstanding students and staff!